Staind Biography, Discography, Music News on 100 XR - The Net's #1 Rock Station!!! 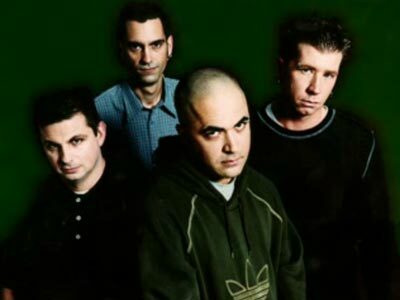 Formed in Springfield, Massachusetts USA, this Alternative-Metal band appeared in the New England area heavy-Rock scene in 1993; consisting of lead singer Aaron Lewis, guitarist Mike Mushok and drummer Jon Wysocki, within a short time they were joined by bassist Johnny April, thereby solidifying the line-up. The quartet self-financed their debut album, "Tormented" and released it in November 1996. 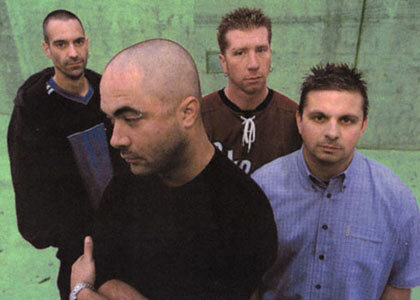 Staind's big break came a year later when the band earned a support slot for Limp Bizkit's Connecticut show; subsequently, with help of Bizkit singer Fred Durst, they signed for Flip Records and continued to tour, opening for the likes of Sevendust and Clutch. The band decamped to a recording studio in Seattle to cut their second album, "Dysfunction", which was issued in April of 1999; the disc debuted at #1 on Billboard's Top Heatseekers, made it into the Billboard 200 peaking at #74 and generated "Mudshovel" and "Home", which both climbed into the top 20 of the Mainstream and Modern Rock Tracks charts. The group next album, "Break The Cycle", became their breakthrough, both commercially and musically; released in mid-2001, the 13-song set peaked at #1 in U.S. and Canada while the main single, the masterpiece "It's Been Awhile", spent 16 weeks at the top of The Modern Rock chart and even crossed over into The Mainstream Rock Tracks and The Billboard Hot 100, peaking at #1 and #5, respectively. Their third album yielded two further Modern and Mainstream top 3 hits "Fade" and "For You", plus "Outside" which reached #11 on the Active Rock chart and the final single, "Epiphany" which nearly made the Mainstream Rock top 20, helped to push the album into platinum territory five times over. 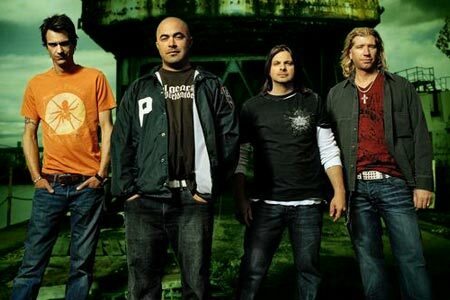 In spring 2003, Staind, returned with "14 Shades Of Grey" which immediately rose to #1 on The Billboard 200 chart, peaked at #8 in Canada and reached the #14 spot in Great Britain; the record included The Mainstream and Modern Rock #1 smash "So Far Away" which also reached #24 on The Billboard Hot 100; the follow-up single, "Price To Play", hit #2 on the Active Rock chart and #6 on The Modern Rock Tracks; one more single, "How About You", was heavily played on both alternative and album rock stations, confirming their broad-based appeal. The Massachusetts quartet released its fifth studio album, the aptly titled "Chapter V", in August 2005. Once again, they entered The Billboard 200 at #1 and the first single, "Right Here", shot to #1 on The Mainstream Rock chart and crawled up to #3 on The Modern Rock Tracks; the next single, "Falling", peaked at #7 on the Billboard's Album Rock Airplay list; "Everything Changes" and "King Of All Excuses" followed, reaching the #22 and #27 spots, respectively, on the same chart. Staind's next effort, "The Illusion Of Progress", was issued in August 2008, but failed to hit the top position on the U.S. chart stalling at #3, however, it produced the Hot Modern Rock #1 single "Believe" which also peaked at #4 on The Hot Mainstream Rock Tracks. The disc contained two more Rock radio hits: "All I Want" went to #20 on the Active Rock list and stopped just short of the Hot Modern Rock top 20 at #21; finally "This Is It" reached #27 on The Hot Mainstream Rock Tracks. In December 2010 frontman Aaron Lewis decided to release a single, "Country Boy", recorded in collaboration with George Jones, Charlie Daniels and Chris Young; three months later, he put out a Country-tinged solo EP titled "Town Line". Lewis then regrouped with his bandmates for a new Stain album, an eponymous affair, that peaked at #5 on The Billboard 200 upon its September 2011 release. The disc boasted three Active Rock top 10 singles, including the #1 hit "Not Again", "Eyes Wide Open" and "Now". Shortly after the album's completion, drummer Jon Wysocki left the group and was replaced by Sal Giancarelli.